We all like to have a tidy, clean house with freshly washed clothes hanging in our wardrobe. If you are finding it difficult to lift the vacuum cleaner or load the washing machine, then let us know. 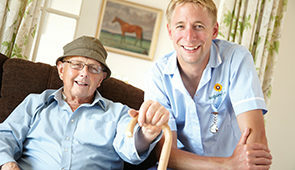 By asking Acquire Care Ltd. for helpful, friendly care, we can arrange for you to have a shining and spotless home to live in. Do not worry about the everyday chores that have become difficult to finish as we are here to do them for you. 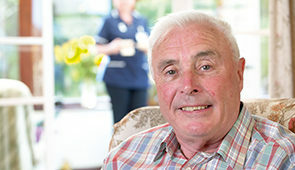 Our carers are reliable and trustworthy. All have to be DBS and reference checked before they can start their training. The training is done in our in-house training rooms by specially selected staff. This means that you do not need to worry about having them in your house. As well as helping with medical and personal care, they can help you load your washing machine, do the ironing for you or even hand-wash small items that cannot be put in a washing machine. A carer will even water and look after your indoor plants. We can help your family by sharing the workload of keeping your house nice. If work needs to be done and your family prefer to spend quality time with you rather than rush around with a duster, let us know. We are here to help you enjoy living in your home.